Perhaps the only thing that feels better for us at NACD than having parents who really get it is seeing the results of them having gotten it. It’s an incredible honor and privilege to be in a position to help change lives, and it’s so much fun and very fulfilling when we can see the results. You are about to read a mother’s story, sharing about the things she implemented and about being able to enjoy the fruits of her labor. You will be reading about Aidia Brennan, who is on her way to realizing her dreams. In Aidia’s case her dreams largely revolved around her love of singing. As I look at how Aidia is proceeding on her journey and reaching toward her dreams, it reminds me of one of my other “kids,” Jennifer Lindsay. You might want to read about Jennifer (link to her mom’s article), another one of our home-educated NACD kids, see where she started, and hear her inspiring story. I am delighted to report on where she is today. 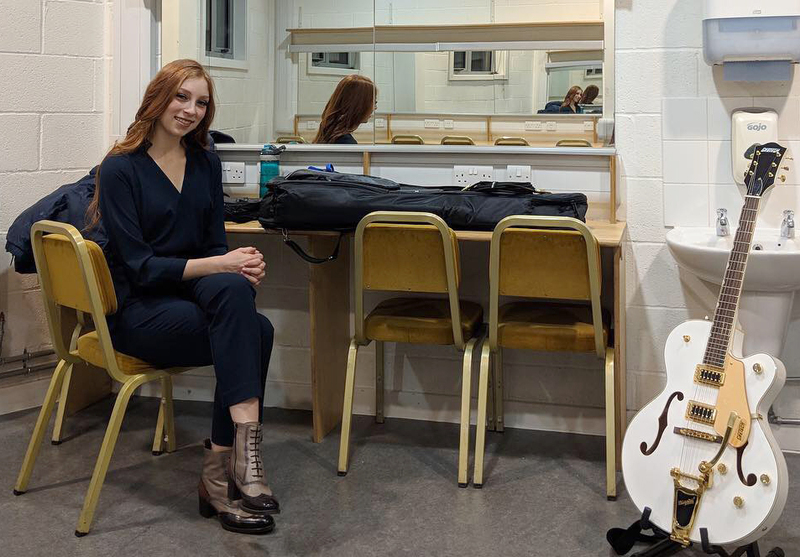 Jennifer had a really rough beginning, but she developed many talents and created many opportunities for herself, from her work creating the new generation of GPS systems, to her concert violin, to her singing. Jennifer ultimately decided that her real passion was singing opera, and as she has done throughout her life, she applied her superior processing power, focus, will, and the power and influence of her wonderful parents, and has excelled in her chosen vocation. I’m am very happy and proud to announce that Jennifer Lindsay has signed a contract with the Metropolitan Opera Company and will be performing in their upcoming production of the George Gershwin opera Porgy and Bess. I’m sure she will wow the audience, as she has during her performances around the country. Congratulations, Jen! My goal for our children is to help parents put together the pieces so that their children can function well—very well—but also to provide the children with the opportunity to discover their talents and passions and provide the means for their successful pursuit. Just yesterday I did a Skype evaluation with Aliya, Aidia’s younger sister, who is doing great as a teen and is herself developing her neuro-developmental, educational, and personal pieces and is exploring and discovering her own talents and passions. Fortunately, Aidia was home in Canada for spring break from her college in England, and I had an opportunity to speak with her and catch up a bit. Speaking with Aidia was a real delight; she is an amazing, mature, well-spoken, confident, respectful, and lovely young lady. Oh, and very talented as well! She really is the epitome of what we would all hope to see in our children as they pursue their goals and aspirations. Liana and Gary Brennan, proud parents of Aidia and Aliya, congratulations! NACD has been in our lives for years and in the past, I’ve said that our lives and children’s lives would be quite different without NACD! I appreciate the significance that NACD places on addressing the whole child and the child within the family. Our youngest daughter, Aliya, was first on the program when she was 4 years old and later, we brought our eldest daughter, Aidia, home from the public school and began a program with her in the sixth grade. We continued program and home educating Aidia until her graduation last May. Our NACD journey has been long and we’ve had some trying years but when the successes are achieved it makes it all worth it! We are part of a large homeschool community with the same activities and opportunities afforded to them as the public schools. Our girls are able to participate in sports activities, yearbook committees, father-daughter dances, prom, and graduation. It is a large formal graduation and Aidia was selected to address the graduating class! One of the major points of her speech was to seize opportunities as they present themselves, embrace the unknown and break out of comfort zones. At this point she was already following her own advice. During her junior year, she began the university decision process and expressed her desire to study overseas. This from a girl that dislikes change but realizes that in order to grow and succeed change is inevitable. As parents it’s our responsibility and mission to raise children that are self-sufficient that will make a positive impact on society. As we sent off Aidia to university in England we prayed that we had equipped her with the needed life skills to thrive, not just survive. Thankfully she has adjusted well as she is living her dream! Technology has made it very easy for us to connect daily, either through FaceTime or text. Recently during one of our FaceTime sessions, Aidia thanked me for being strict and having her complete chores! I snickered because her interpretation of strict differs greatly from mine. I also wished I had a tape recorder handy to preserve her comment. Apparently, most of the other students are not self-sufficient which is causing them a multitude of stressors and health issues on top of the rigors of university. In November she shared that most the students had already depleted their student loan funds that were to sustain them through December. Huge contributing factors are the inability to cook or prepare meals, laundry and manage their personal finances. There are no meal plans in the United Kingdom like there are at most American Universities. They were eating out most nights and then with the realization that their funds were dwindling they begin to eat inexpensive fast food that was not sustaining them and they were falling ill. Aidia was cooking one night for one of the girls in an attempt to teach her some cooking skills. Aidia asked if her parents had not been interested or willing to teach her how to cook. The student shared her mother had attempted but she was more absorbed with her phone and her mother would get frustrated and end up preparing the whole meal. Aidia’s reply, “yeah, that wouldn’t fly in our home.” Aidia has the title of “mom” as she’s the one they turn to for life skills advice. Most days when we are on FaceTime there is a knock at her door with someone needing some assistance or advice. During one of our FaceTime sessions Aidia said that she thought she would miss us more than she did and as I was recovering from her comment and from having the wind knocked out of me, thankfully she elaborated. She stated that she did miss us because we have fun; we enjoy each other’s company and our family game nights. A majority of the other students were homesick but not because they missed spending time with the family but for what their parents could and would do for them which is very sad. 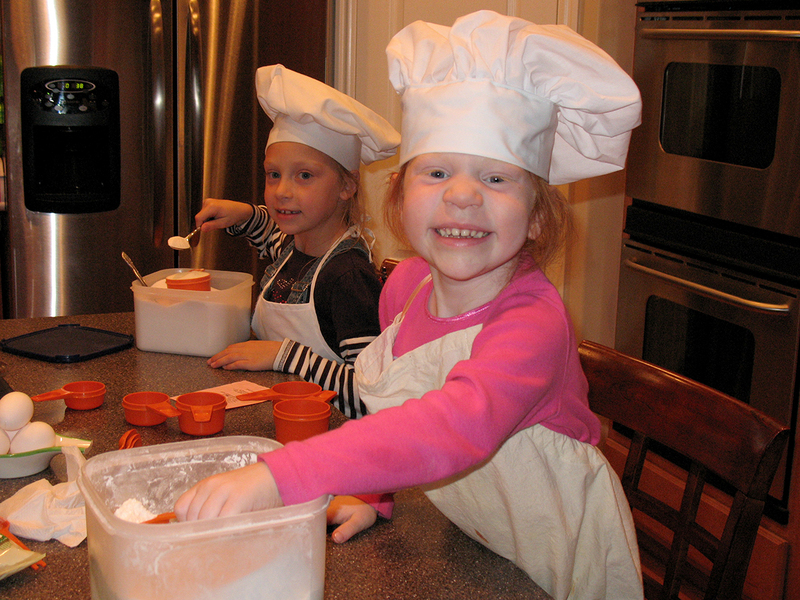 We began instilling life skills and independence at a young age. When the girls were quite young, I designated two lower cabinets in the kitchen for plastic bowls, plates, cups and wooden tongs. Plus, all the snack and breakfast items that they could prepare themselves. I also kept a low stool in the kitchen to assist them in reaching the sink. I stored homemade granola in a small container with a flip-top lid and a scoop. It was much easier to handle than a large container. I kept the dairy-free milk and in a small container on the lower shelf in the refrigerator. This way they could prepare their breakfast themselves by placing a couple of scoops of granola in a bowl, wash up some blueberries and top it off with dairy-free milk. Using smaller containers made it easier to handle and if there was an “accident” there was a lot less clean up. I also placed items in the fridge on the lower shelves. To protect them from burns I purchased wooden tongs to use if they toasted some gluten-free bread. They were so happy they could make themselves breakfast and snacks and it promoted independence and confidence. Both girls had “chores” on their programs. During an evaluation early on, Bob reviewed our chore chart and stated that their chores were a little “light” and we needed to increase their responsibility. I was excited that I had Bob’s encouragement to ramp up their chores. As they matured, we required more from them. It takes patience and a little extra time but the payoff is worth it. We have lots of memories and laughs as we recall eggs rolling off the counter (which happened more than once), or too much of an ingredient like salt or a spice as a recipe was miss read or the ingredient came out too fast, or an omission of an ingredient altogether! Some things that we included on their chore charts as they matured was preparing the family meal twice a week – planning – cooking and clean up, loading and unloading dishwasher, being responsible for their own laundry, feeding, walking and cleaning up after the dog, making their bed daily and maintaining their own room, cleaning bathrooms, dusting and vacuuming to name a few. Their chores were their own responsibility and they needed to own them, and I did not want to hound or remind them daily. To remove myself from monitoring their chores I placed a chore chart for each girl in an acetate sleeve. 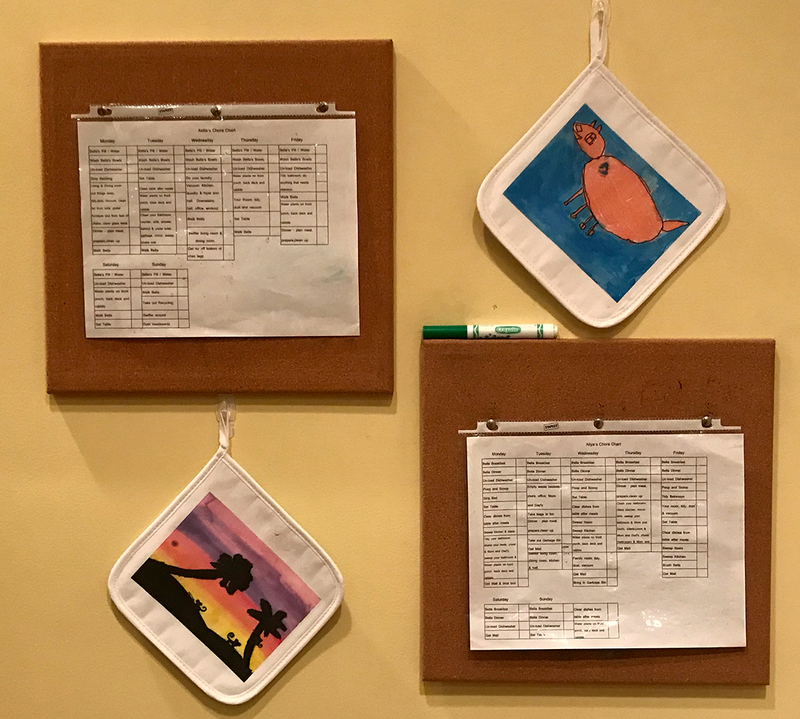 Each chart was pushed pinned to a cork board on the kitchen wall with a dry erase marker (washable dry erase marker when younger). They passed the charts daily and it was up to them to check off the chores that were complete. They walked by the chart every time they entered and exited the kitchen so there was visual of what was complete and what still outstanding. If the chores were not complete there were consequences. At the beginning of the next week the acetate was wiped down and the new week began. This system worked wonderfully. Aidia recently displayed her independence and willingness to jump all over the fear of the unknown and submit for a wonderful opportunity that produced a once in a lifetime experience! 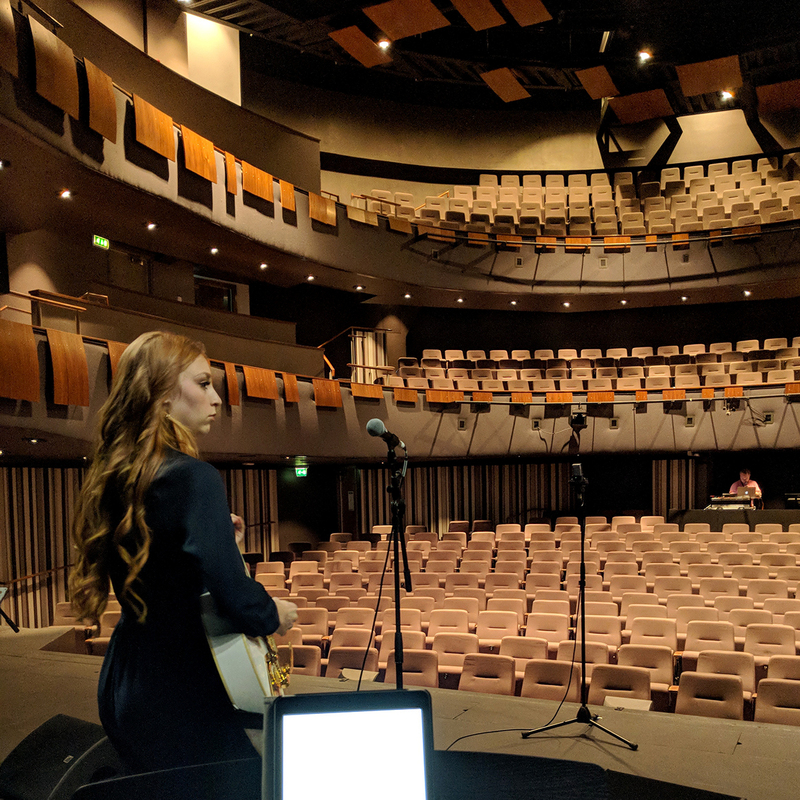 Aidia is pursuing a BA honors degree in Musical Theatre and has been inspired by Ramin Karimloo, a Musical Theatre performer, since she was eleven. Ramin has been performing on Broadway and West End for years and has portrayed Phantom in Phantom of the Opera, Jean Val Jean in Les Misérables and Anastasia to name a few. In July, he announced his UK tour. When not performing on Broadway or West End he travels with his band and performs songs from his musicals and other songs that he puts his own “spin” on. Aidia was so excited to hear that Ramin would be performing in Shrewsbury, England where is attending University! Right then and there she purchased a ticket. It didn’t concern her that she would be attending on her own, she was ecstatic that she would see him live! Unfortunately, she has not had the opportunity to see him perform live so this was a fantastic opportunity. 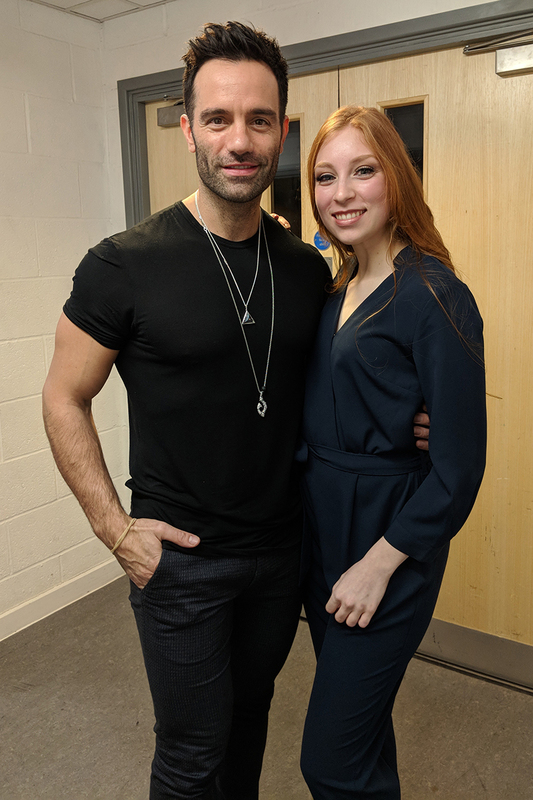 Aidia follows Ramin on social media and on Christmas day he posted that he would like to showcase local talent at the venues on his tour and if interested, and local to the venue, to submit media showcasing their talent. Aidia jumped on the opportunity and Christmas night she sent in various videos of her singing and playing guitar. When she headed back to Shrewsbury after Christmas early on the Jan 3rd Aidia had not had a response so assumed she wasn’t selected. Upon landing on one of her layovers she checked her email and there was a personal email from Ramin informing her she was selected to open for him! We were so thrilled and excited for her! Ramin even introduced her!! Not many folks are able to say that they have met their inspiration let alone open for them! We were so proud of her and her performance. Another way that NACD has impacted Aidia’s life is through the Simply Smarter program. Recently an industry leader came in to do a workshop with the students. One of the activities was a series of patterns. I may not have the activity exactly correct but the idea was that they were to stand in a circle and each student had a series of tasks to do simultaneously with the other students. They were to pass a ball to a certain student, speak a word or phrase, then walk to another student to pass the ball, speak another word and continue this pattern while everyone else was doing their own pattern. It was apparently quite chaotic and yet Aidia was able to remember her pattern and in some cases had to retrieve the ball from the student she was receiving it from because they were confused or forgot the pattern. At the end of the session the instructor inquired if Aidia had done this activity before because he had never had anyone complete the pattern successfully before and assumed she must be familiar with the activity. When she stated she had not he was amazed that she had managed to remember the patterns. Her response, “NACD’s Simply Smarter!” This was a great example of how higher processing can build memory assisting in academic and career growth. Aidia is often required to learn songs and dances in short periods of time. Higher processing will be a huge asset in her chosen field. Through the years many of our days have been long and exhausting. On some of these days it would have been easy to allow the chores to slip, to address the laundry and cooking ourselves in order to shorten our day but at what expense? I can remember a particularly exhausting day when Aliya had pushed back and been defiant and argumentative. It was dinnertime and we had just completed program. Her father had just arrived home as Aliya began her chores. She proceeded to Swiffer the living room and saw her Dad on the sofa and stated, “I don’t know why I have to sweep when Dad is over there having the time of his life.” As you can imagine after a long day that remark just about sent me over the edge. After reprimanding her for her comment I explained that her situation was a result of the choices she made during the day, which meant she was now having to complete chores well into the evening. Thankfully these days are a thing of the past, but had we not persevered we would still be living these days. Currently, Aliya accomplishes her chores without complaint and enjoys meal preparation. We recently relocated internationally and Aliya has adjusted well. She experienced some anxiety but with the tools she learned through NACD she has settled in fine. Aliya is meeting new people and is playing drums for her youth band at church. The church recently had a big event in which she played for the evening and afterward families sought her out to tell her what a great job she did and that they loved that she was a female drummer. She continues to take lessons and is progressing well. I believe that Simply Smarter has been a contributing factor to her progress. We are so thankful to NACD and their desire to provide us with the instruction to allow our children to reach their full potential. As parents, we must be willing to let our children experience life but equip them with the tools to be independent and successful so they may pursue their dreams without any additional stressors.